* Some towing restrictions apply. Please call 360-529-5589 for details. 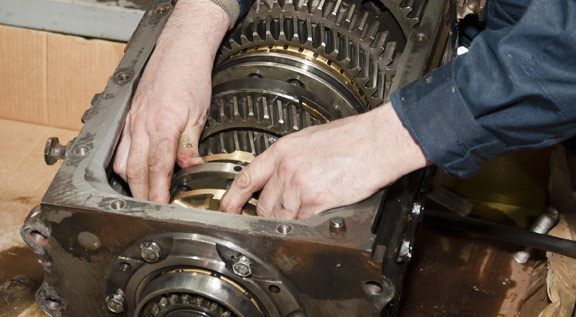 Transmissions Unlimited is a full service auto repair shop specializing in transmission service, repair and overhaul. We are AAA approved, our technicians are ASE certified. With deep roots in Lewis County, we're proud of over two decades of service to the Centralia, Chehalis, Napavine and Rochester communities. Click here to find out more about our certifications and recommended vehicle maintenance. Whether you need transmission repair, engine diagnostics and tune-up, wheel alignment, brake or A/C service, suspension shocks or struts, or any other automotive repair or routine servicing, we're here to serve you with years of experience. We've helped thousands of people in Lewis County get their car or truck back on the road, and our satisfied customers are our biggest asset. They often tell us, "You're the shop we send our friends to!" Open Monday through Friday from 8 AM to 5 PM, we feel our employees deserve time with their families and loved ones on weekends, so we work hard during the week to ensure all your repair and service needs are met, and that we exceed your expectations. We want your business, and we'll do what it takes to earn it! Click here to save 5%! Come See Why We're Trusted by So Many of Your Neighbors! Serving the Centralia and Chehalis areas with pride!